When a student believes that they were not evaluated fairly by a professor, they can file a grade appeal or grade grievance. How long do I have to appeal the grade? Check your student handbook and search for the grade appeal section. Most universities have time frames that student must meet. This means that you can't wait until you get ready to graduate to dispute a grade. 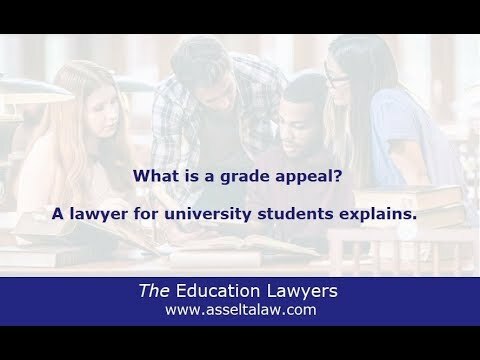 What should I write about in a grade appeal? I recommend focusing on facts that support your appeal. Do not argue that you didn't feel well or felt the professor didn't teach you. You need to discuss issues surrounding rubrics, confusing or incorrect test questions, or syllabus errors. Can you help me write my grade grievance? Yes. I write student appeals, including grade disputes. Using my nearly 20 years of experience as an attorney combined with a unique knowledge of the student disciplinary process, I give students a successful edge. Want to read more about grade appeals? Click here for a full blog post about the topic.